We offer appraisal and umpire services for all types of insurance claims including: Our appraisal services include detailed inspections, scope and estimates,as needed. We offer these services to: attorneys. contractors, engineers, insurance companies, municipalities, property managers, property owners, public adjusters and others in need of of an expert appraiser. These services are available on most residential, commercial, industrial or multi family properties. 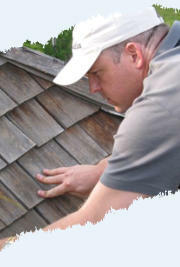 Our certified inspectors are available to certify all types of roofing and exteriors for insurance, investments, real estate transactions and other needs. We can also provide the expected lifespan, performance and warranty information, as available. We offer basic and detailed inspections of roofing and exteriors to determine adherance to code, damage, installation defects, lifespan, manufacturer defect, performance, repairs, installations and other needs. 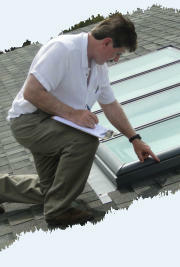 We investigate damage, failure and performance of roofing and exteriors on all types of properties. 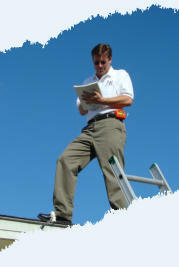 If you need to ascertain the cause of damage and/or why a roof system or exterior covering failed to perform as expected we can provide you with a limited or detailed report and provider expert witness services, if needed. If you require a brief or detailed report of our inspection and/or investigation we can provide what you need along with the documentation to the extent required. We specify roof systems for all types of steep and low sloop roofing, gutters and related systems to perform in Colorado’s extreme climate. These systems can be designed for energy efficiency, long term performance and to help prevent damage from ice, snow, trapped heat and moisture and condensation.